To quote the great Billy Crystal, Sunday night is going to be a wonderful night for Oscar. 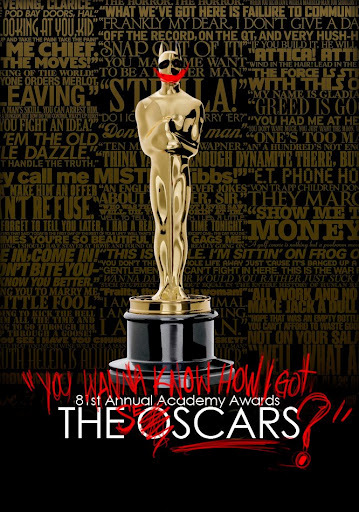 Oscar, Oscar … Who will win? The easier question to answer may be who will lose, because with so many good movies in 2012, a few categories that are actually competitive, Family Guy and Ted creator Seth MacFarlane sure to crush it as host, and the prospect of seeing Jennifer Garner and Reese Witherspoon looking fantastic again, I’d say we’ll all be winners Sunday night. 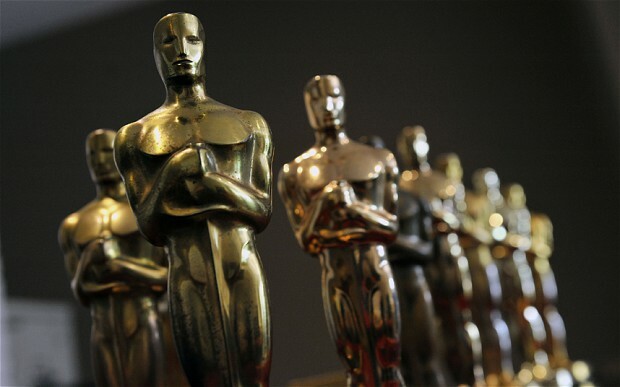 Will Oscar Voters Get Social? A little more than a month ago, this year’s Oscar ceremony was looking like it’d be a big snooze. Again. Not including the unpredictability of hosts Anne Hathaway and James Franco, we knew what was going to happen awards-wise: The Social Network had taken all the major critics prizes and the Golden Globe award for Best Motion Picture (Drama). It, along with director David Fincher, screenwriter Aaron Sorkin, and composers Trent Reznor and Atticus Ross, seemed assured of cruising to the Oscars knowing they’d be winners that night too. Same goes for Colin Firth and Natalie Portman, and David Seidler, screenwriter of The King’s Speech. But then The King’s Speech received 12 Oscar nominations and started winning major guild prizes — including the SAG and DGA — and the tide was turned. But when Social Network won the editors’ guild award, that may have turned the tide back; the editors are a reliable predictor of industry leanings for Best Picture. Now there are fewer sure things, even though pundits everywhere are predicting King’s Speech to win Best Picture. Other races have gotten much closer as well, including Best Supporting Actor and Best Supporting Actress. That’s going to make for what I hope is a fun and exciting ceremony. Yes, I’m really excited about this year’s Oscar show. I saw 60 movies last year. My hopes are high. I wrote a blog post about the Oscars for work. I’m planning to sit in front of the TV starting at around 6 p.m. for all the pre-show coverage, and I’ll likely stay up to catch some post-show action too. (Yes, I’m expecting to be tired on Monday.) Want to know my reactions to what’s happening? I’ll probably be tweeting my thoughts during the show. Oscar night is my Super Bowl, my Election Night, and I’m looking forward to a real prize fight — hoping that The Social Network comes out on top, of course. 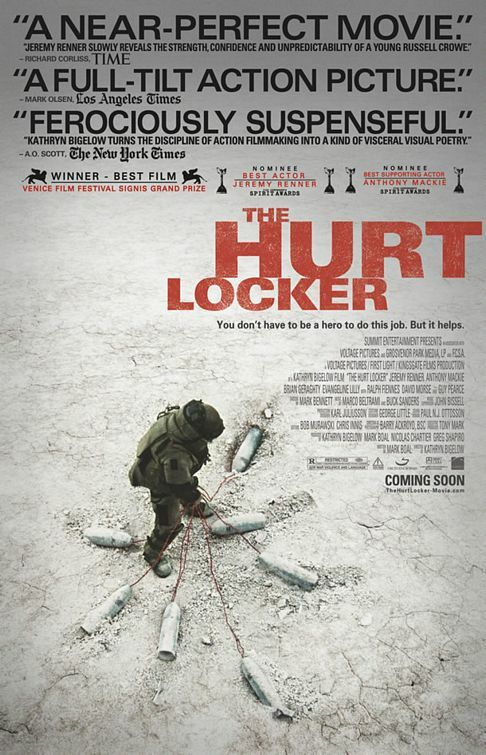 If you really want to know what kind of movie The Hurt Locker is, all you need to watch is one scene about a third of the way in, when Army Sergeant William James (Jeremy Renner) discovers a trunk full of explosives. I’m really hoping Steve Martin and Alec Baldwin are funny on Sunday night, because if they’re not, then this year’s Oscar ceremony will be one giant snoozer. After another long awards season when so many other trophies have already been handed out (the Golden Globes, SAG, Directors’ Guild, Critics’ Choice, etc. 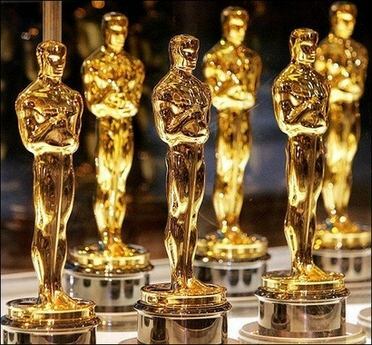 ), there’s not a whole lot of suspense left about who’s going to win the Oscars. The top eight major categories (and at least three or four other awards) are already pretty well set. However, while some may say that means there’s not much incentive to stay up until 12 to see the whole thing, I will definitely be watching until the bitter end — and maybe some post-show coverage too. I’m just not expecting to enjoy it much. It’s worth noting that I actually haven’t seen Hurt Locker yet, and that I don’t agree with all the supposed winners above. If I had a vote, I’d choose Up in the Air for Best Picture, and either Carey Mulligan (An Education) or Gabourey Sidibe (Precious) for Best Actress. In truth, I’m hoping I don’t go 12-for-12 on my picks. An upset or two would be nice. But in lieu of that, I’m hoping Steve and Alec bring the funny so the show is actually enjoyable. What’re my thoughts? Well, I’m not excited. For one thing, The Curious Case of Benjamin Button is waaaaaay overrated. Some categories are largely as expected, based on previous awards nominees. Best Actor and Best Supporting Actor, for example. But others had their share of surprises, and not good ones. The Reader, which I still have yet to see, got a slot for Best Picture instead of the very worthy The Dark Knight, which I was really pulling for and which had a legit shot at a nomination based on nominations by the Producers, Writers, and Directors Guilds. I’m also really really surprised by the omission of Bruce Springsteen and Jamie Cullum from the Best Song category for their contributions to The Wrestler and Gran Tornio, respectively. I was really looking forward to both performances on the telecast. And what’s with two of the only three Best Song nominations going to Slumdog Millionaire? I also think that not nominating Dark Knight for Best Score was a huge omission. And does Angelina Jolie deserve her Best Actress nomination (for Changeling)? No. Truth be told, there’s nothing about the nominations that really gets me excited for the ceremony this year. At this point, it’s pretty safe to say Slumdog Millionaire will win Best Picture, Director, and Adapted Screenplay, and that Mickey Rourke and Heath Ledger will win too. Otherwise, I could really care less about Best Actress and Best Supporting Actress this year, and many of the other categories. 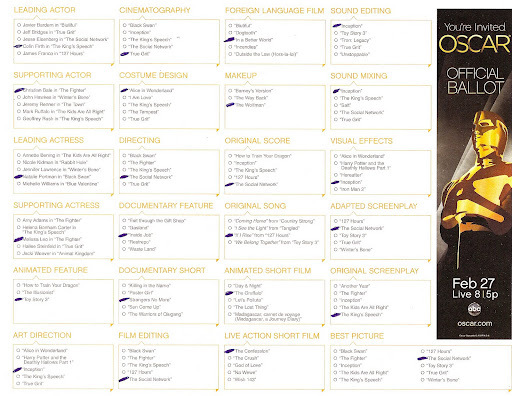 I really hope Benjamin Button doesn’t win many of the 13 categories it’s nominated in. And more importantly, I hope host Hugh Jackman is good, because otherwise it could be a very, very, very long night for me when the awards are handed out on February 22. I love this video and this site, and totally agree: The Dark Knight has been the best movie to be released so far this year. This well-made clip certainly backs up that claim. And on a related note, this is bull crap. And on another related note, the movie comes out on DVD this coming Tuesday. I can’t wait to watch it again.